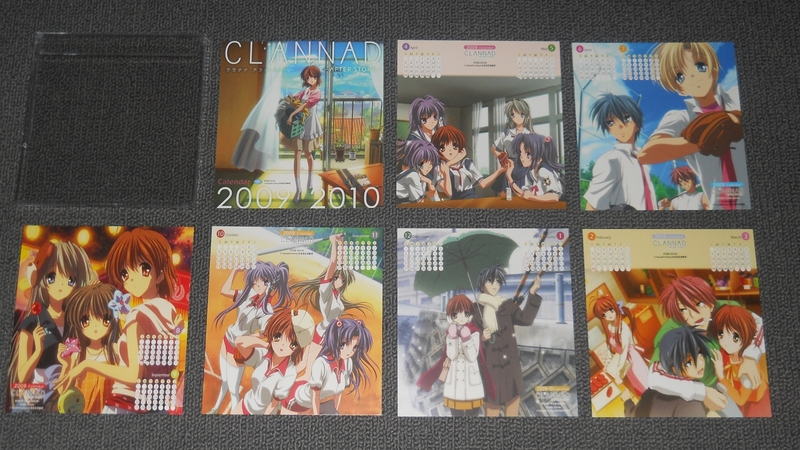 I had been intending on saving this post for when I would buy the Japanese blu-ray boxset re-releases for both seasons of Clannad, but it seems there have been a number of other anime releases that have taken my interests over the past year that has made me put that goal on the back burner for awhile and I don’t know when I’m gonna finally purchase them. 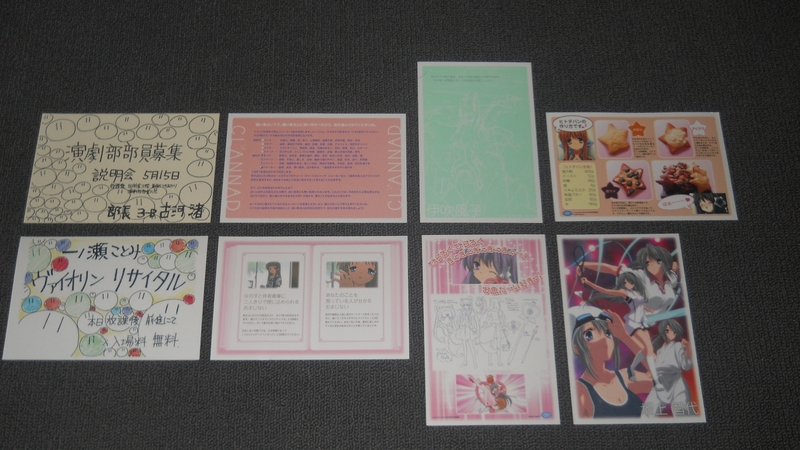 However I think it’s time I’ve made this post anyway as some of the photos here were taken over a year ago for this very purpose only to be stored away in a folder, so it’s about time they get shown. 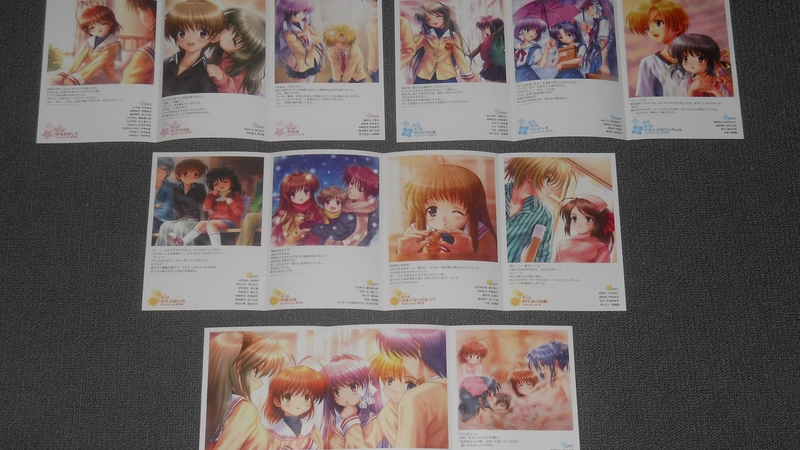 I’m also hoping I will start adding more posts to the “collections” category on my blog as it’s pretty light at the moment with only two other entries for it. 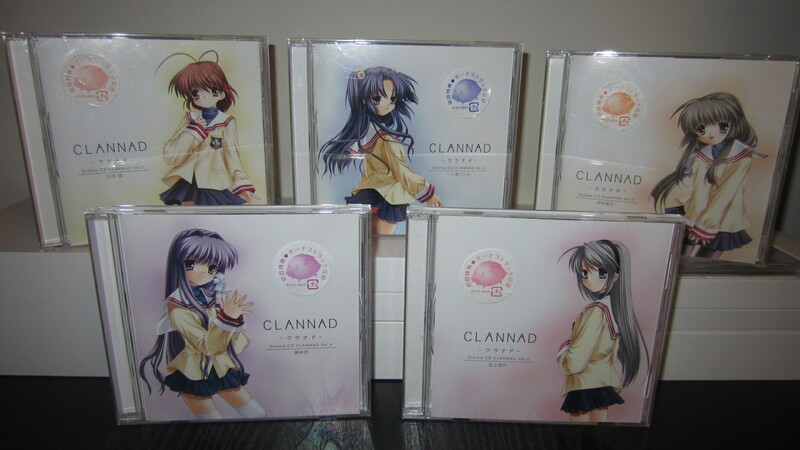 Starting off, I had been collecting the Japanese limited edition DVD releases for Clannad about 3 years ago and they were actually one my of very early purchases when I started importing anime DVDs from Japan. 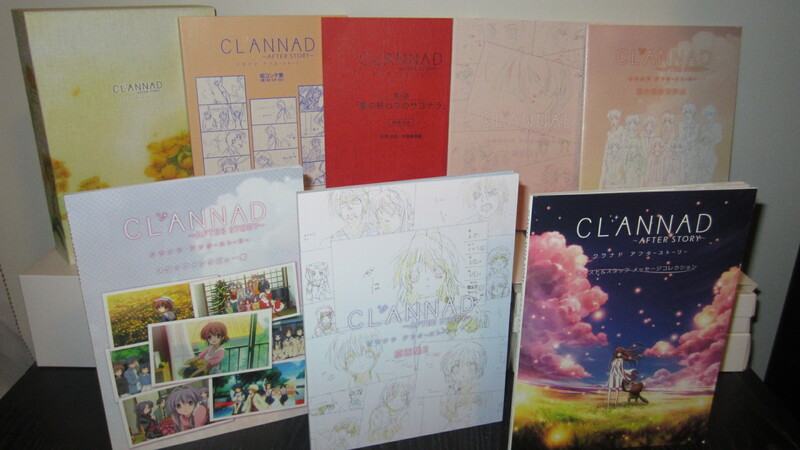 The bad thing about this though was that I was pretty late and had only started collecting the Clannad LE DVDs about a year after they were first released, and the DVD releases for “After Story” was about to finish in Japan soon, which meant some volumes were out of print already and I had to resort to pay inflated prices for them on Yahoo Japan Auctions. 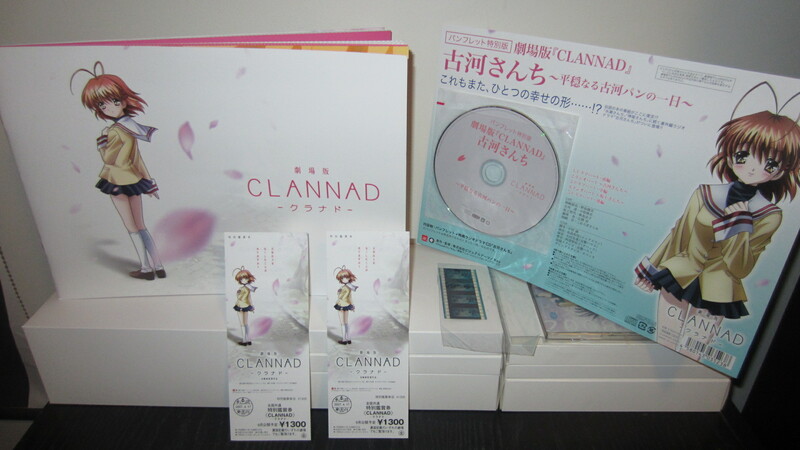 In particular the limited edition DVD for volume 8 of the first season, which went out of print just one week after its initial release in Japan, was selling as high as 30,000 yen because all the Japanese retailers no longer had any stock and couldn’t get anymore in due its very limited production run. 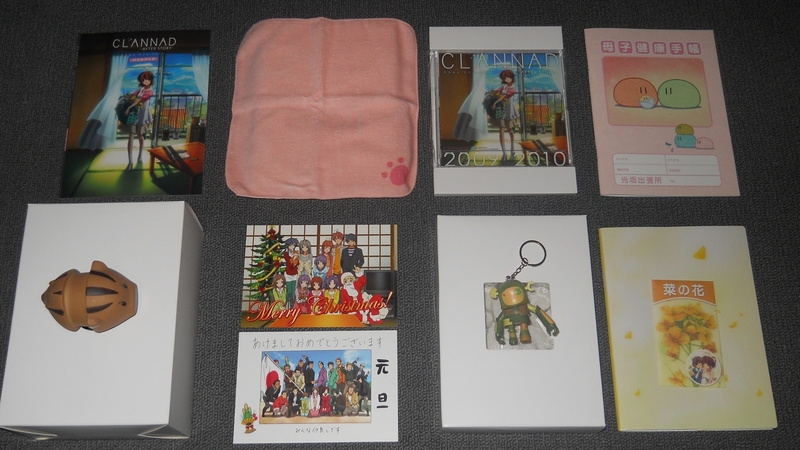 In the end I managed to grab a copy for around 18,000 yen but as you’d expect when something out of print gets a re-release, the value for those items drops pretty quickly, which was what happened to that volume when the blu-ray boxset re-release for season 1 was announced back then. 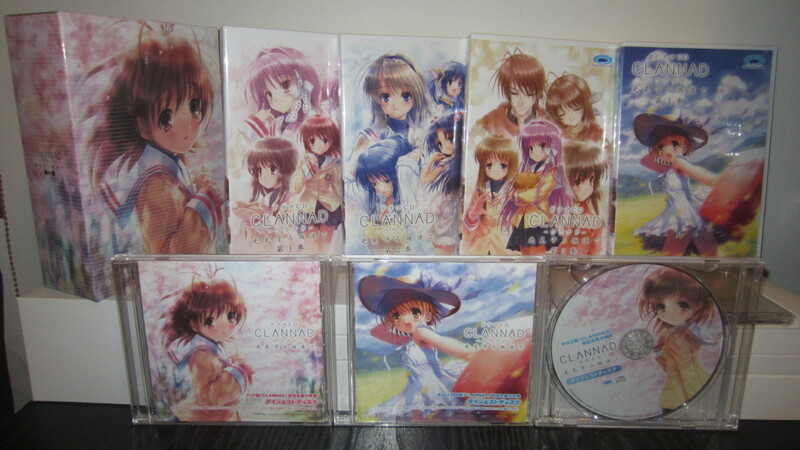 Still, I was pretty happy I was able to obtain the OOP volume since the thing that attracted me to buying the limited edition DVDs for Clannad in the first place was the physical extras and packaging. 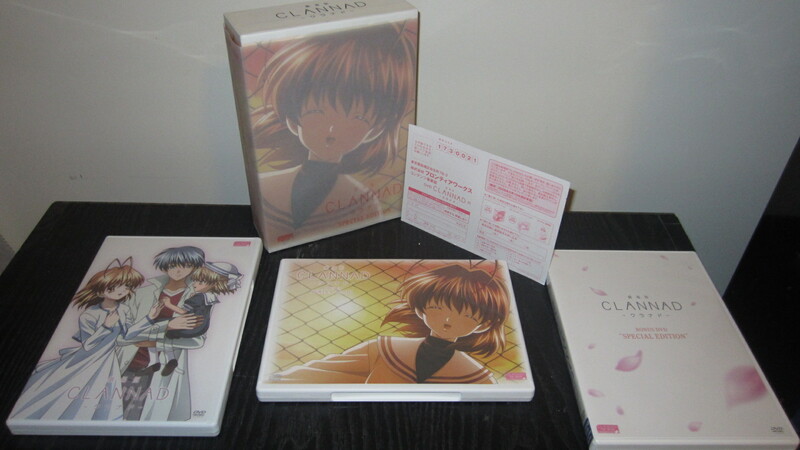 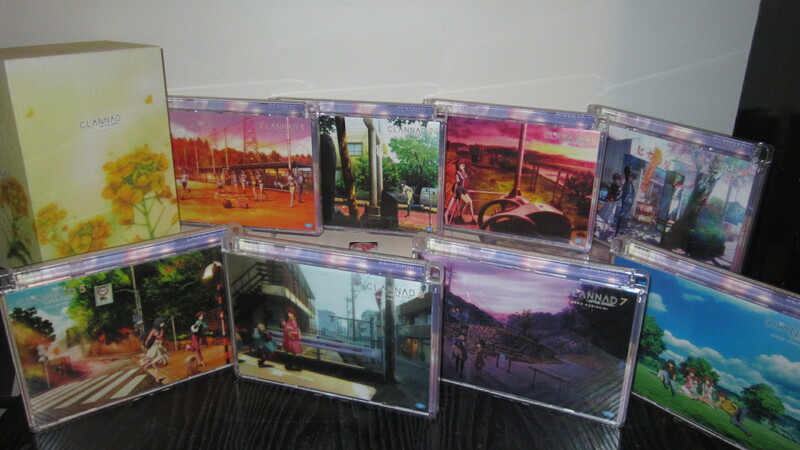 Unlike most anime releases in Japan nowadays which are released in digipaks or with slipcases, the limited edition DVDs for Clannad were produced with jewel cases which made it look pretty classy in addition to the cover artworks. 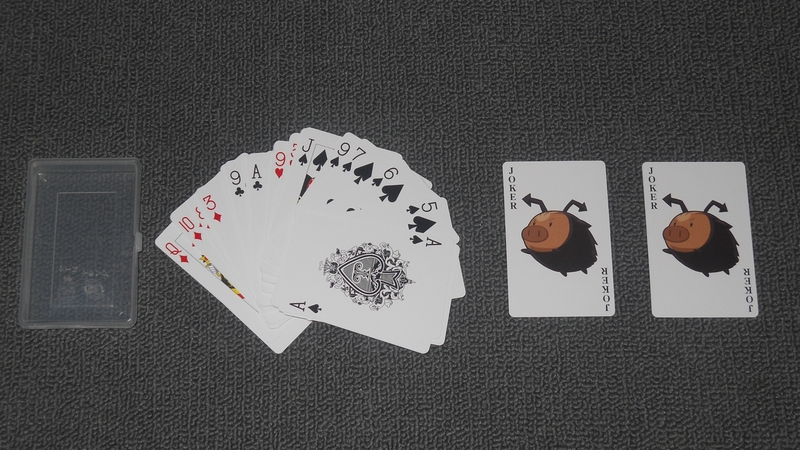 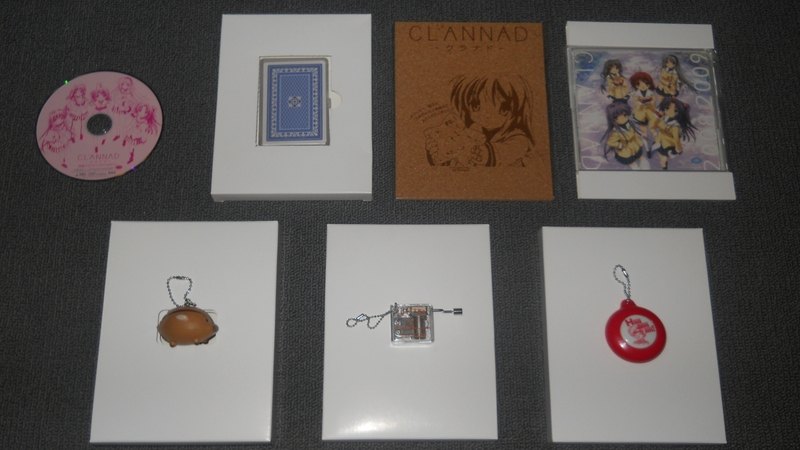 Volume 5 contained a bonus music box which, when winded up using the small handle on the right hand side, plays the “Dango Daikazoku” ending theme for the first season. 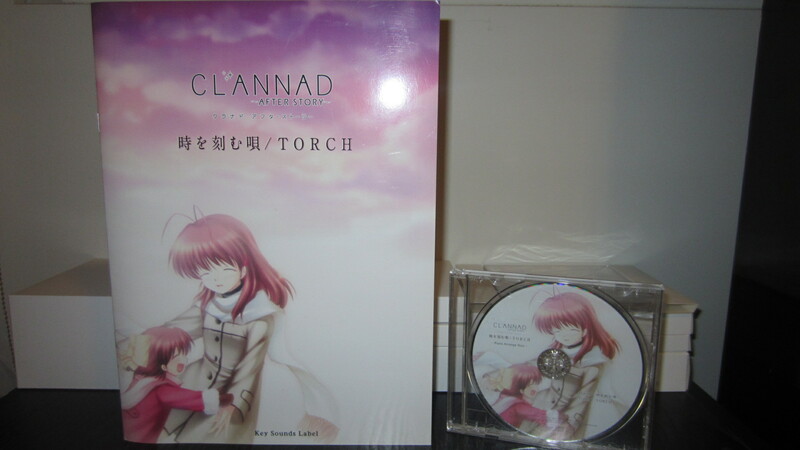 Below is a video of someone who had also purchased this volume playing the music box. 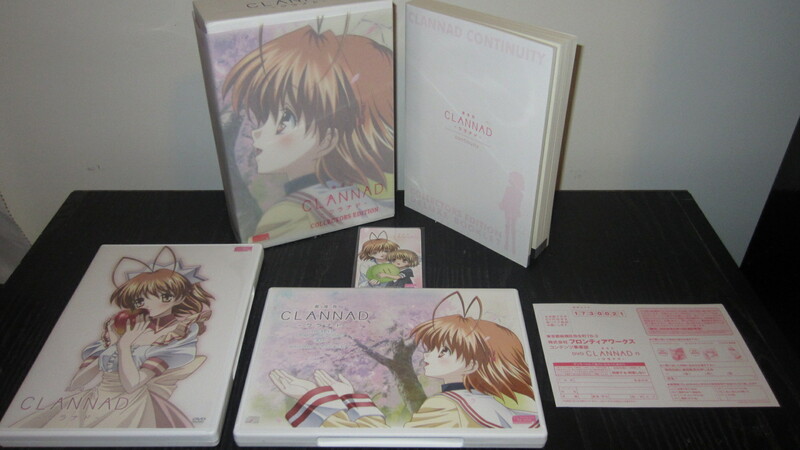 With the 2nd season, I started off collecting it by trying to buy the final volume (volume 8) first since I thought if it was anything similar to how limited the final volume was for the first season, then it’d most likely go out of print just a week after its release, not surprisingly it already did during the week of its release when I looked up the listings for it from online retailers such as CDJapan and Play-Asia, thankfully I managed to get a friend who happened to be staying in Japan at the time to track down a copy for me from Animate and sent it to me. 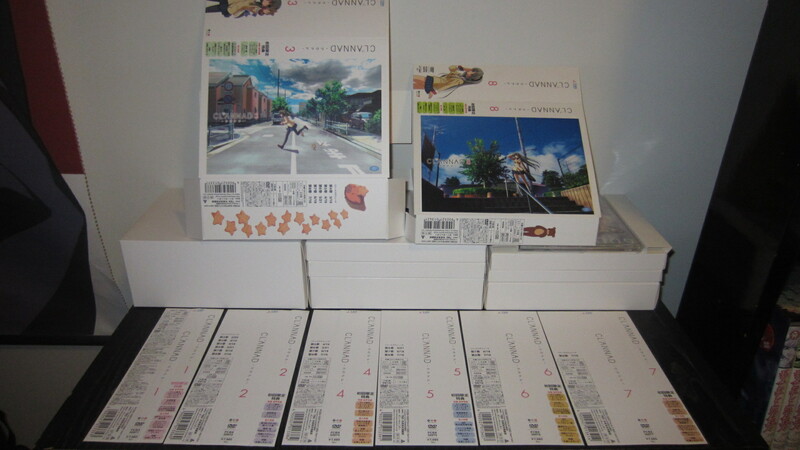 From there on, it was just a matter of getting the remaining volumes to complete the collection, although volumes 5 & 6 suddenly went OOP while I was in the middle of collecting season 2, luckily I managed to track down both those volumes in mint condition on Yahoo Japan Auctions for pretty reasonable prices. 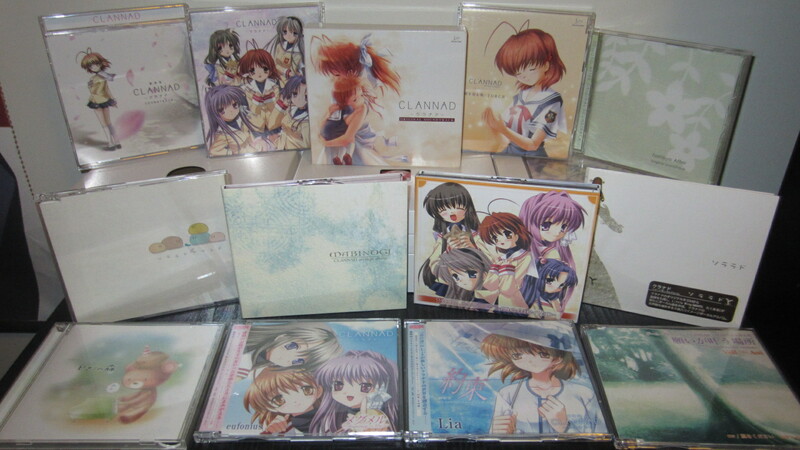 So besides collecting all the limited edition DVDs of Clannad, I also had a goal back then to own every single commercially released CD related to the series including all OP & EDs, drama CDs and radio DJCDs. 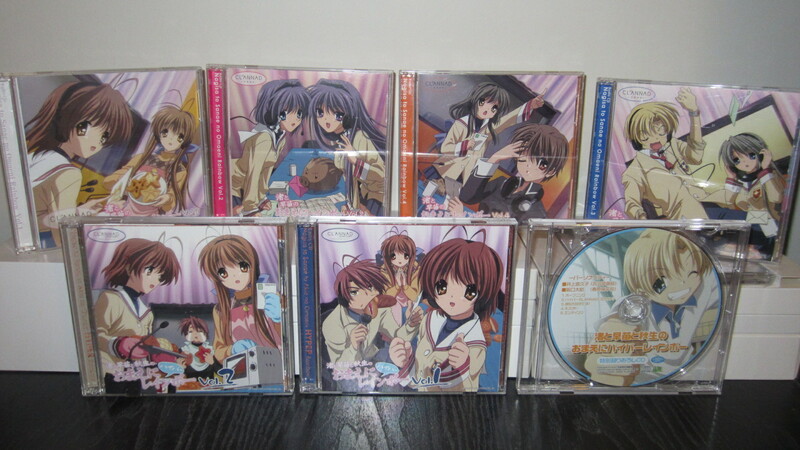 Think I’ve achieved that sometime last year unless a completely new CD is announced in the future. 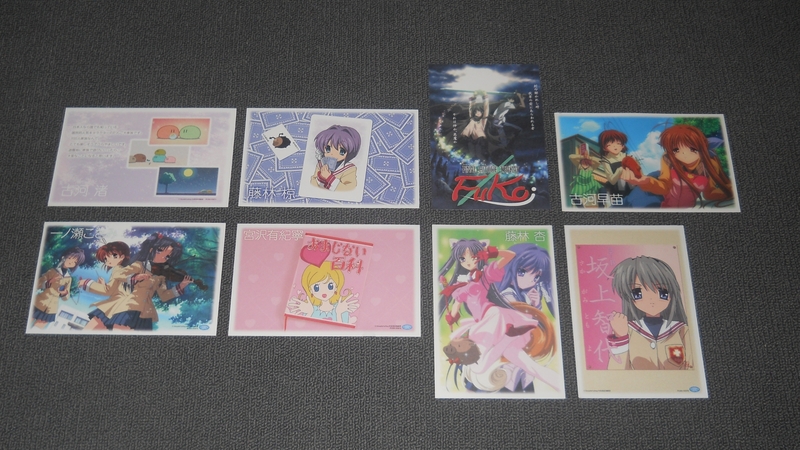 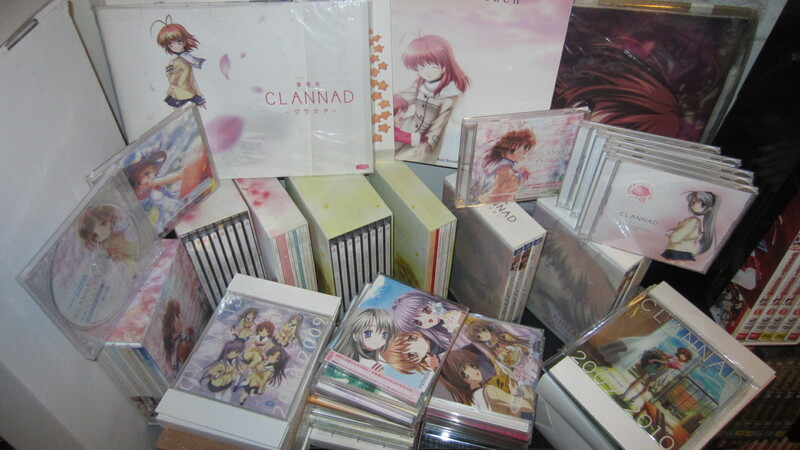 Outside of CDs and DVDs, I haven’t really collected much Clannad goods other than a few items below. 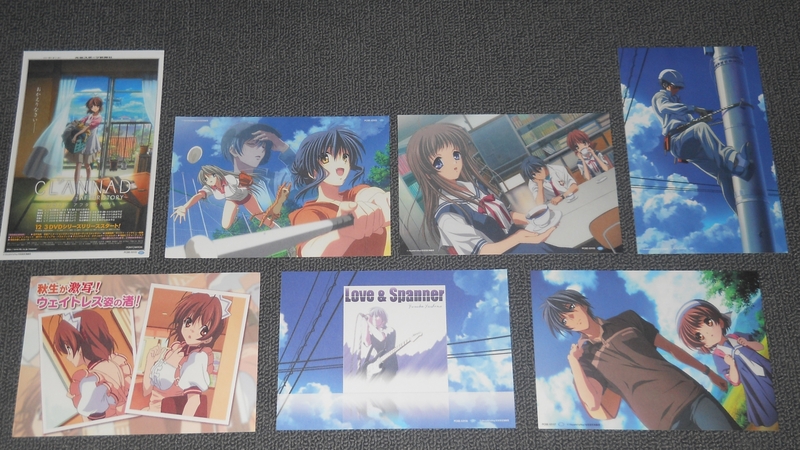 I’m not really interested in collecting any figures for this series but might look into getting some of the artbooks in the future. 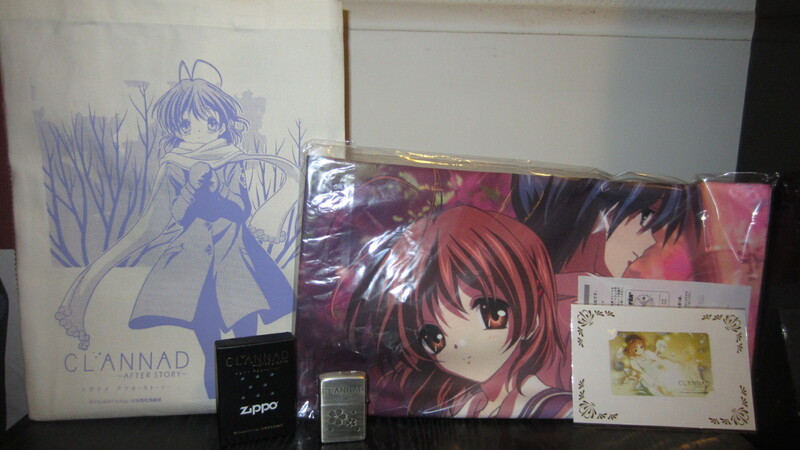 This set includes a tote bag, telephone card, exclusive Clannad ZIPPO lighter and a microfibre towel. 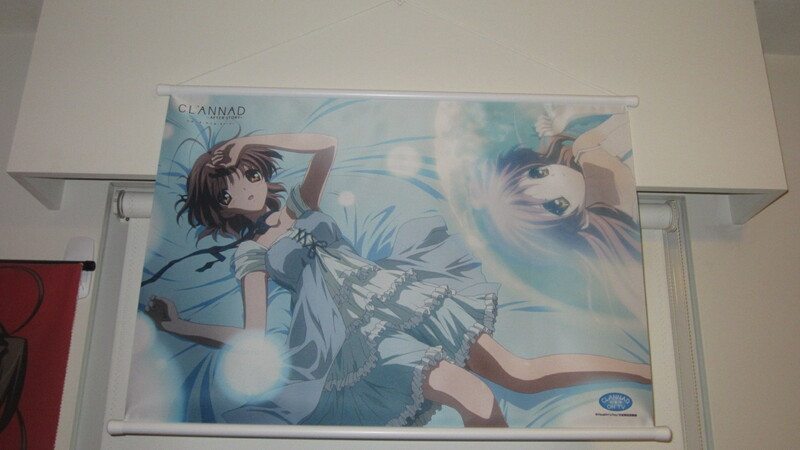 I actually got this purely for the towel since it had a nice artwork. 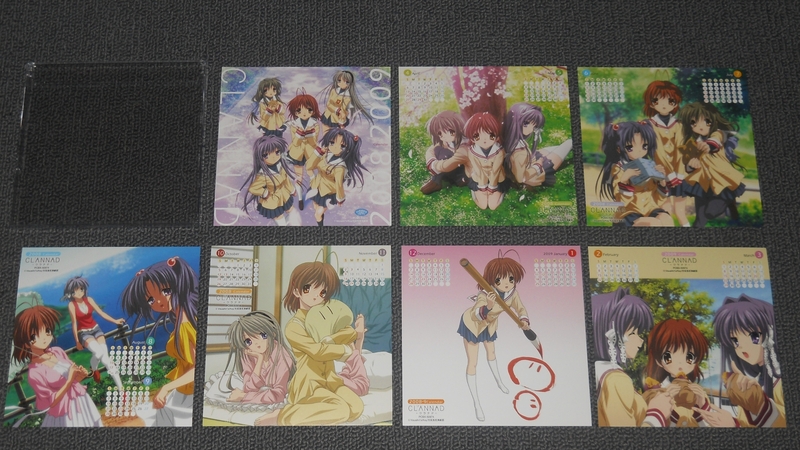 And finally, the obis that were on the limited edition DVDs. 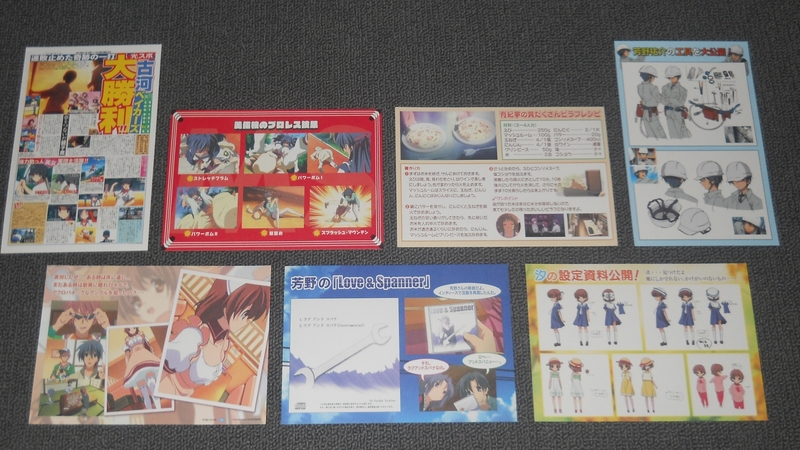 These will seem pretty random but I decided to add it in anyway since they go with the DVD packaging for the series. 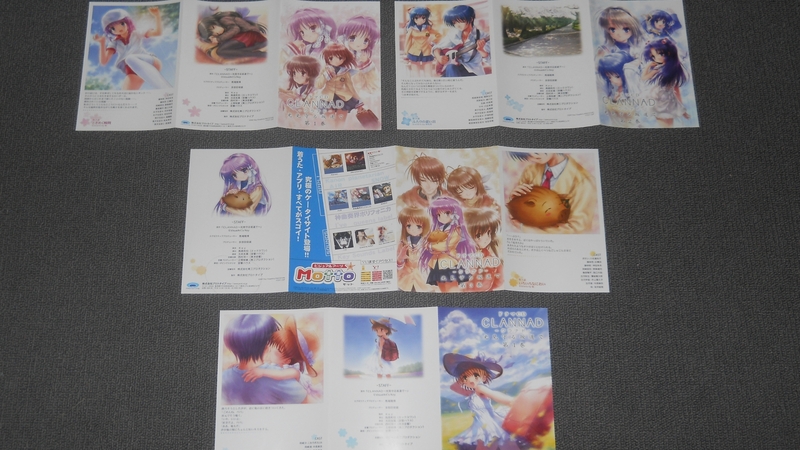 Usually most people throw these out but I tend to save everything that was part of the packaging and these look pretty nice and contains information on what bonuses and extras are included with the limited edition DVDs. 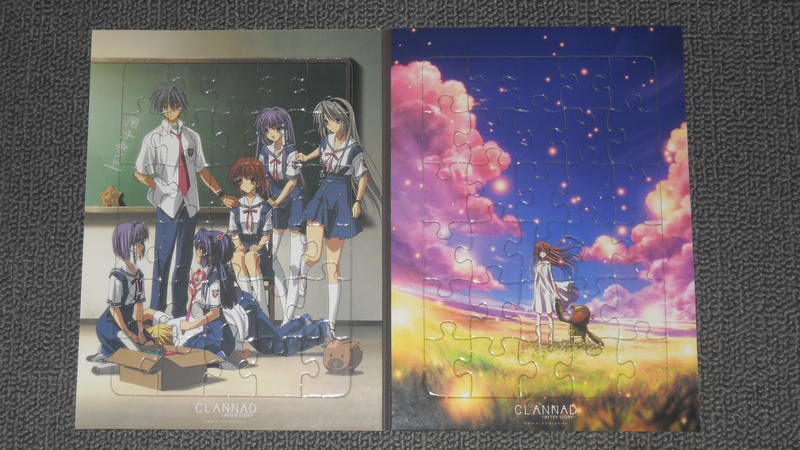 And that’s it for my Clannad collection! 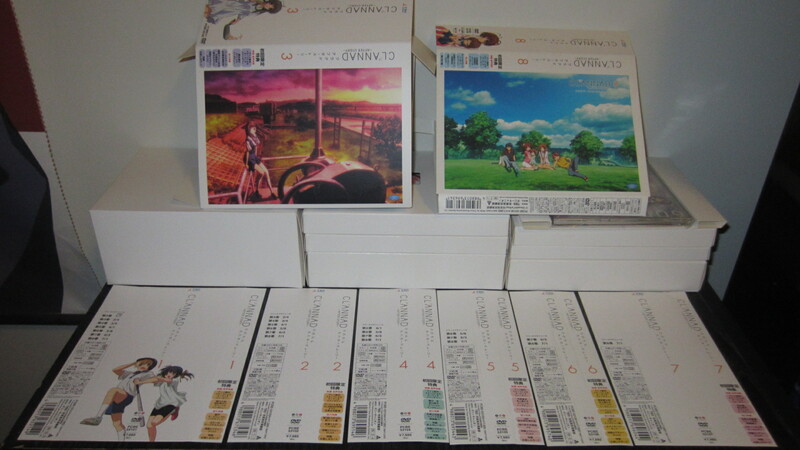 Hopefully I’ll be able to add the Japanese blu-ray boxsets for both seasons to the collection in the future. 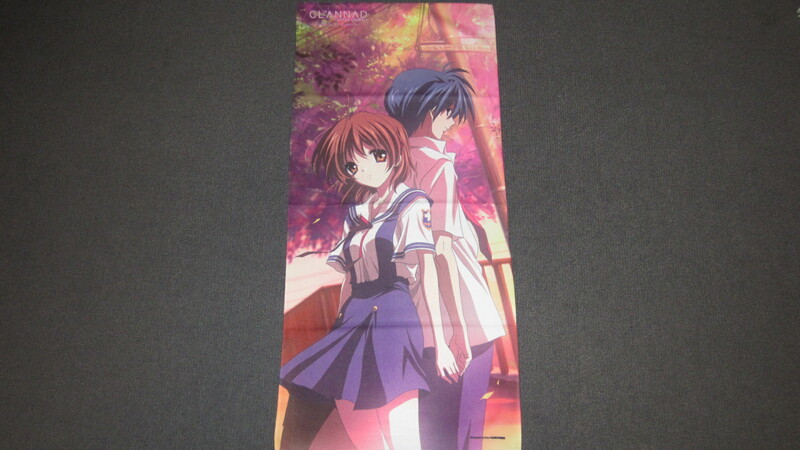 I am not gonna lie I am jealous right now. 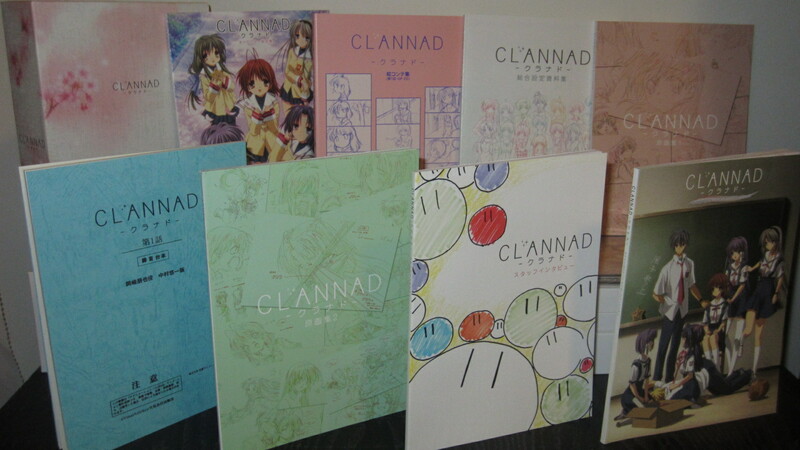 I soooo wish I had a collection of Clannad like that lol. 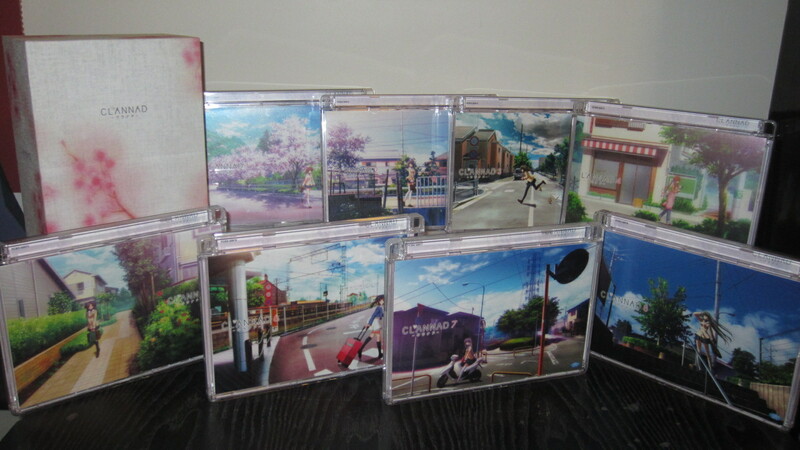 Either way, that is a really awesome collection.